'RHOC' Vicki Gunvalson & Steve Lodge Proposal In the Works! EXCLUSIVE: ‘RHOC’ Vicki Gunvalson & Steve Lodge Proposal In the Works! 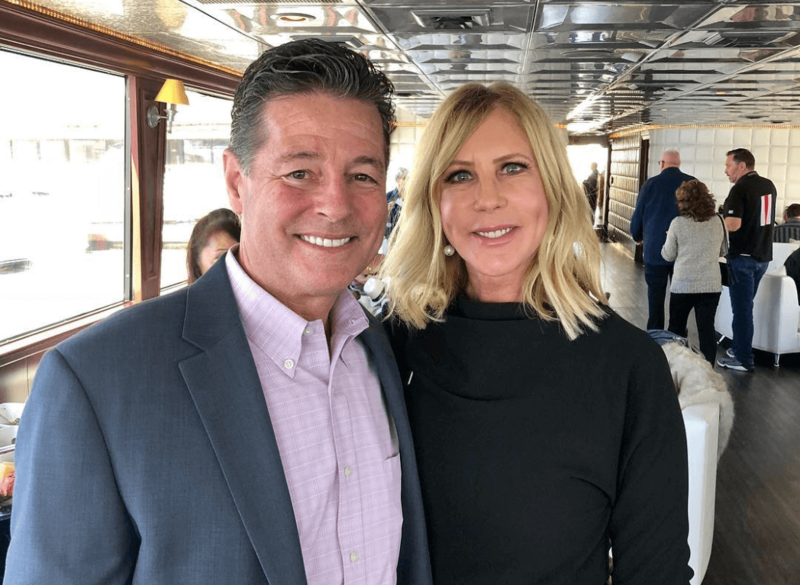 Vicki Gunvalson and her and longtime beau Steve Lodge are making it official! The Real Housewives of Orange County star spilled the tea while vacationing from Puerto Vallarta, Mexico on Instagram Live Sunday. Vicki Gunvalson, 56, is in Mexico hosting her new travel venture “Vacation With Vicki” — and during a stroll on a the beach with a superfan, Vicki says into the camera “That’s where [Puerto Vallarta], Steve and I will get married.” She adds, “He told me on the airplane that it’s [the engagement] is coming up.” Press play to watch below. She also shared a heartwarming message about Steve in the video “I adore that man and I want to spend the rest of my life with him. He appreciates me and doesn’t stifle me.” Vicki says. So it’s official, Steve will asks for Vicki’s hand in marriage very soon — sometime in the near future. And the wedding will be in Vicki’s favorite getaway spot — Puerto Vallarta. Steve is currently whooping it up in Mexico with Vicki on her “Vacation With Vicki” excursion. Are you ready for a Vicki Gunvalson and Steve Lodge marriage? Share your thoughts in the comments below! EXCLUSIVE: Kenya Moore To Debut Her Baby In Major Publication As Last-Ditch Effort to Regain ‘RHOA’ Peach! ‘RHOC’ Alum Jim Bellino Drags Tamra Judge’s Estranged Daughter Into Nasty Lawsuit!